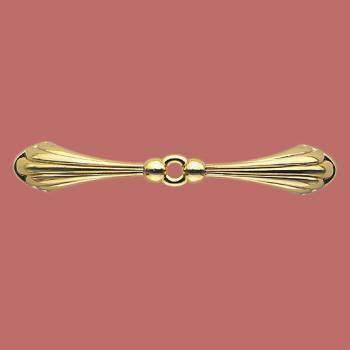 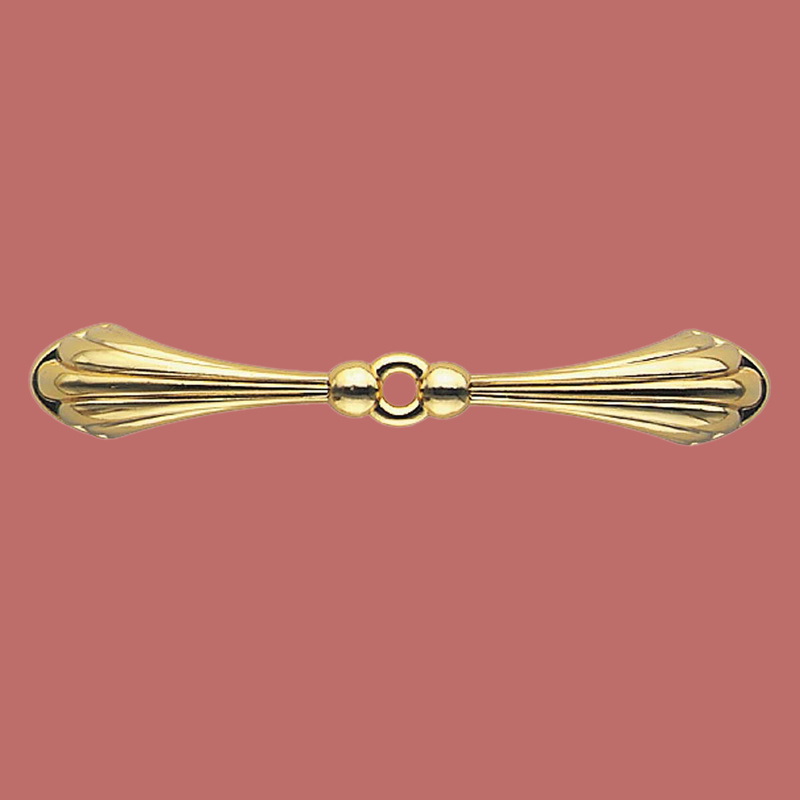 Cabinet Pull Bright Brass Beaded 3 3/4"
This bright brass pull with scalloped ends has an overall length of 4 1/4" and a boring size of 3 3/4" . 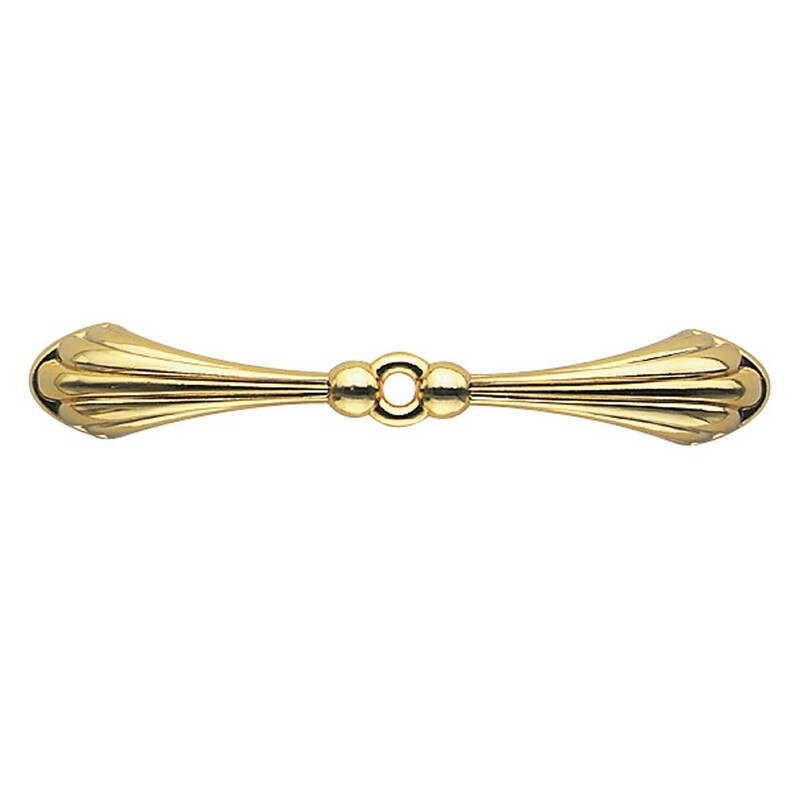 This is a very narrow pull, being only 11/16" at its widest point, giving it a delicate look. 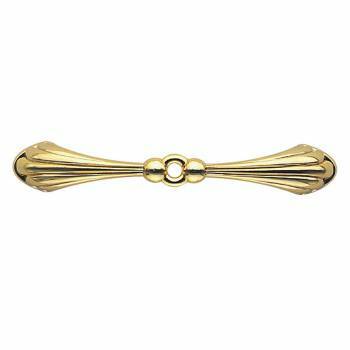 This dresses up any drawers that need that hard-to-find wider boring size.